To find the best way to define a point or an event it is important that you prepare videos, and not just a normal video, but prepare an explanatory video. These types of videos basically help users to understand the topic better and more descriptive way. If you do proper research then you will surely get to know that in the past 5 years the number of people watching videos has increased by eight times. And, most of them belong between the age group of 20 and the initial 30’s. So, if you are looking to upload videos it is vital to take into consideration distinctive factors. So, what are those factors that will make your videos attractive, engaging, and effective? Here is a detailed explanation of them. Studies clearly say that a person’s attention span stays for about 8 to 10 seconds at an average, so you will have to make sure that in order to gather the person’s attention you only have about 10 seconds and nothing more. However, an explainer video will have to be clocked between 2 to 2.5 minutes as this will definitely gather the person’s attention. Now, if you have a written website then you will only be able to gather about 25 percent of the traffic. So, it is always beneficial that you have an explainer video instead of a written website. The benefit of explainer videos is that it is not only a mode of visual communication but also verbal communication, which makes it quite interesting and attractive to the viewer. Apart from that, one can easily understand the message that is being conveyed. However, explainer videos work best for students. 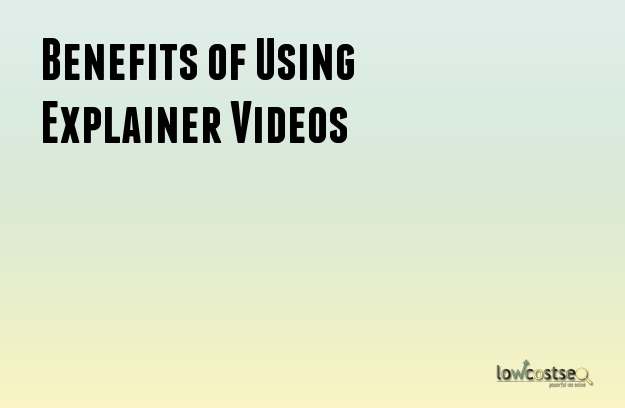 There has been a study conducted on a number of students to derive a result about explainer videos. It has been clearly noticed that about half of these students did gather more information through an explainer video. Therefore, it can be clearly stated that an explainer video is always better than any other form of learning. In the corporate world business executives always prefer choosing an explainer video over written communication if both are provided to them. A study shows that about 60 percent of the people prefer it that way. This is the reason why these days most of the business websites design explainer videos in order to convey their message. These days almost every business is using explainer videos to convey direct messages regarding their business, products, and services. And the response rates of these videos have been impressive. This is the reason why ecommerce businesses are having massive sales volume. More than half of their customers feel confident to buy products after watching an explainer video concerning the product. It is also noticed that explainer videos have helped to increase the cart size by 3 times than what it was there previously. Thus, if you want to better your business opportunities make sure that you use explainer videos.